Summer is the time of year when most people use more water and see their bill increase. We often take water for granted and misusing it can threaten the existing water supply in your area, especially here in California. By learning how to conserve water, we can reduce our water bills while also being more environmentally friendly. Here are 5 great tips for conserving water during the summer. Laundry needs to be done no matter the time of year. However, it’s best to collect enough dirty clothes throughout the week to make a full load. Washing one full load instead of several small loads will save many gallons of water over the course of a year. All dirty clothes will eventually need to get washed so why not use this opportunity to conserve water. Nothing tastes better than a tall glass of ice cold water when it is hot and humid outdoors. Since most tap water is lukewarm until you run the faucet for a while, minimize this waste of water by keeping a pitcher of water in the refrigerator that is ready to drink. Consider buying a pitcher with a filter that will make the water taste twice as fresh. Watering your lawn or other plants and gardens in the morning is effective for conserving water during the summer. In the cooler morning hours, the soil better absorbs the moisture before the hot sun has a chance to evaporate it. Dentists recommend brushing your teeth for no less than two minutes. It is not uncommon for people to leave the faucet turned on while going through this routine. There is no reason for water to flow for two minutes. 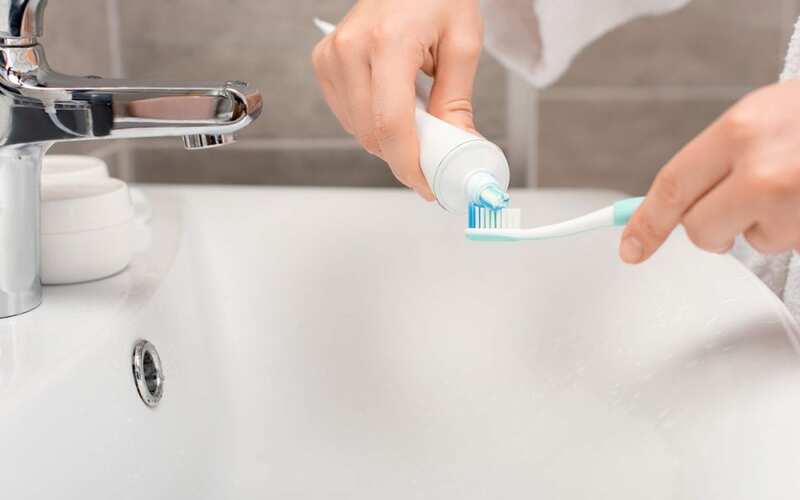 Shut off the water while scrubbing those pearly whites. Turn the water back on when you need to rinse. This can apply to shaving and washing your hair as well. A newer energy-efficient dishwasher only uses 3-5 gallons of water per cycle while handwashing can use 25-30 gallons per load. Make sure you have a full load before running your dishwasher and skip rinsing the dishes before you load it, your machine will take care of removing any stuck-on food during the wash cycle. Another tip is to use the same water glass more than once. This will save you seeing a dozen glasses lined up at the sink for washing. Conserving water during the summer comes easily with these tips and by being aware of not wasting water. Get in the habit of following these simple steps, and before long, they will become your routine. Cal Home Inspection serves the Greater Sacramento area with home and commercial building inspection services. Contact us to book your appointment.